Looking to chow down on some Mexican fare? A new spot has you covered. Located at 5310 N. Clark St. (between Berwyn Ave. & Summerdale Ave.) in Andersonville, the fresh arrival is called Octavio Cantina & Kitchen. This newcomer comes from the same folks behind Lady Gregory's Irish pubs, and takes over the space formerly occupied by Acre and Bar Ombra. 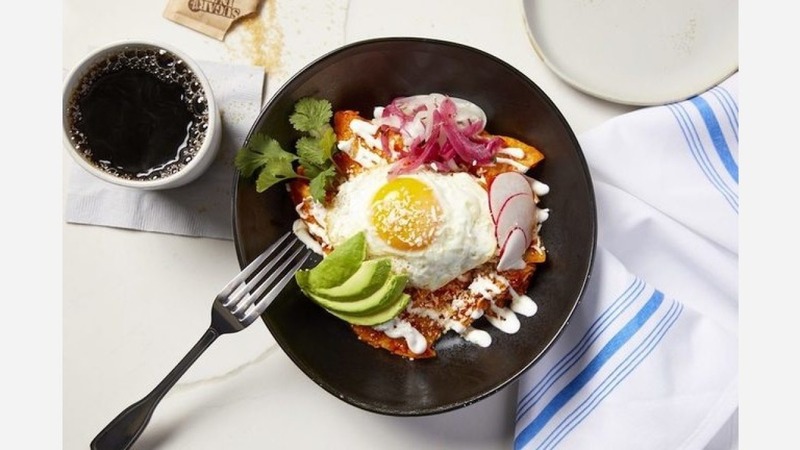 The restaurant features "rustic dishes," along with traditional Mexican fare and "one of the largest collections of tequila and mezcal in Chicago," according to its website. In addition to serving lunch and dinner, the eatery also offers brunch daily. On the menu, look for entrees like roasted chicken with a poblano mole, pickled onions and buttered plantains; slow-cooked pork tacos with cilantro, pickled onion and avocado; and wood oven-fired flatbreads with lobster, shrimp and scallops with a roasted tomato salsa. Don F., who was the first Yelper to review the new spot on March 11th, said, "This place is an incredible addition to the Andersonville neighborhood. Fresh and delicious food. We shared several dishes from a tasty ceviche to Cobb salad to a delightful Neapolitan flatbread." Octavio Cantina & Kitchen is now open at 5310 N Clark St., so swing on by to take a peek.